See four people dining in a restaurant: they’re doing something inherently private – eating together, talking – yet in a public place. The boundary of personal space grows blurred when the floor manager leans in close to point out the different ingredients of each dish. The emphasis he places on provenance reminds us that this is not just a meal; it’s a performance, theatre on a plate – or so the restaurant would like its diners to think. 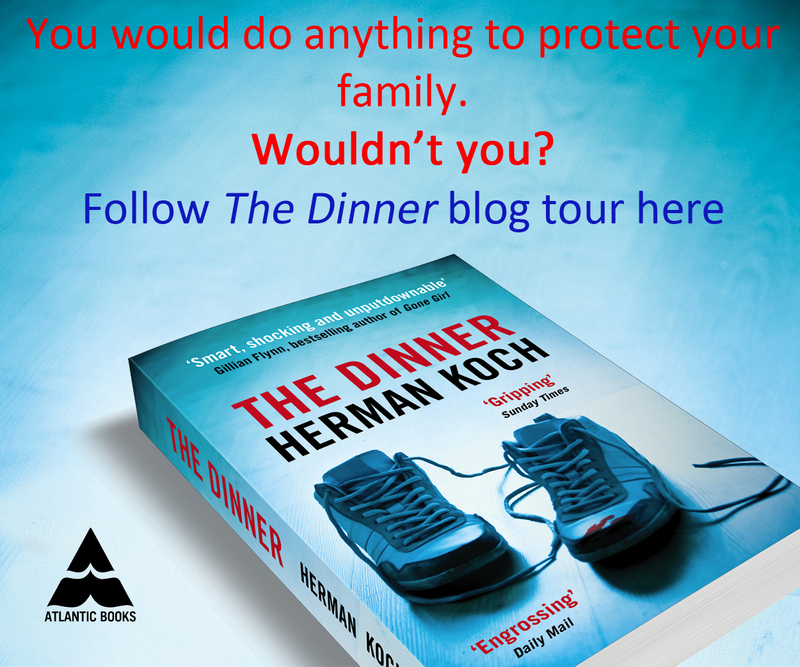 The tension between public and private, and the act of weighing up one’s options in the knowledge that someone is looking on, are constant themes rumbling under the events of Herman Koch’s novel The Dinner. The two couples in this case are Paul (our narrator) and Claire, Serge and Babette. Paul is somewhat reticent to confide in us: at first, Serge and Babette are simply ‘the Lohmans’ only a couple of chapters later do we learn that Serge is Paul’s brother, and later still that Serge is leader of the opposition party, and a likely future prime minister. Yet Paul is at pains to emphasise that he’s not going to name the restaurant where the four met. Clearly, there is familial tension here, and something that Paul does not want to become known. Eventually, we come to it: Paul’s son Michel, and Serge’s son Rick, have been captured on CCTV attacking a homeless woman; the purpose of the meal is for the Lohmans to discuss what should be done. That’s the theory, anyhow. But Paul’s stalling tactics delay them, and once the discussion starts, it becomes clear that the incident is being used by the brothers for a curious and uncomfortable game of one-upmanship (Paul is secretly proud that his boy was the one in charge). The Dinner becomes a study of two men (and Paul’s attention is indeed primarily on himself and Serge) attempt to save face whilst still trying to get one over on the other, as every solution to the Lohmans’ predicament that’s mooted is first viewed in those terms. For me, it’s the ordinariness of the situation that really makes The Dinner work, the way that Koch insidiously disrupts this family gathering. I gather that The Dinner is the first of Koch’s books to be translated into English; I hope there will be others, as I’d be keen to read more. This post is the latest stop on a blog tour for The Dinner. Check out the other posts in the tour by clicking on the banner below.